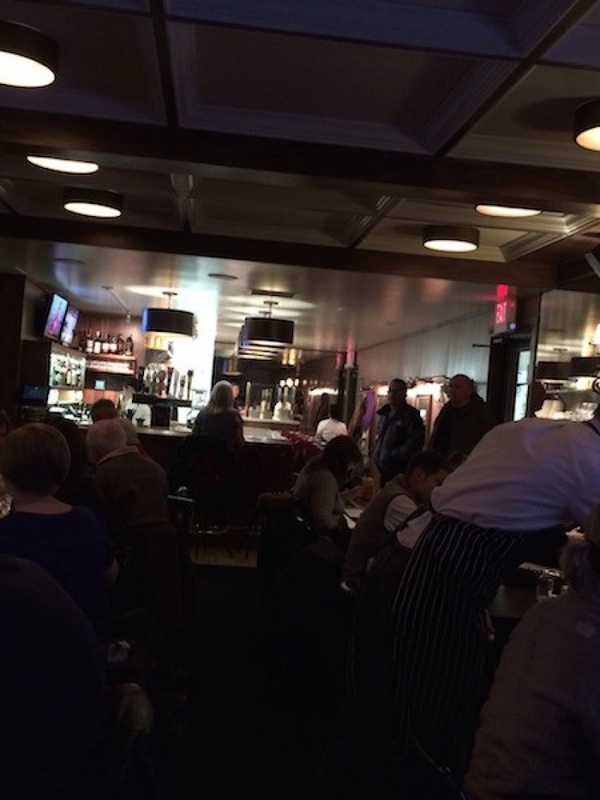 The Cozy Tavern is a brand new bar and restaurant that opened about two weeks ago on South Street across from the South Street Smokehouse and the Akropolis. They seem to have done a lot of renovation, or perhaps even full reconstruction, from whatever was in that location before. So, the interior is new and, dare I say, cozy. The place was pretty full. But when the weather warms up, they seem to have an enclosed porch type setup that will expand capacity. It was perfect for meeting up with some of the guys on a weekday evening and shooting the breeze while the basketball game was on in the background. It was fine for watching sports, but there are better sports bars if that’s what you’re after. 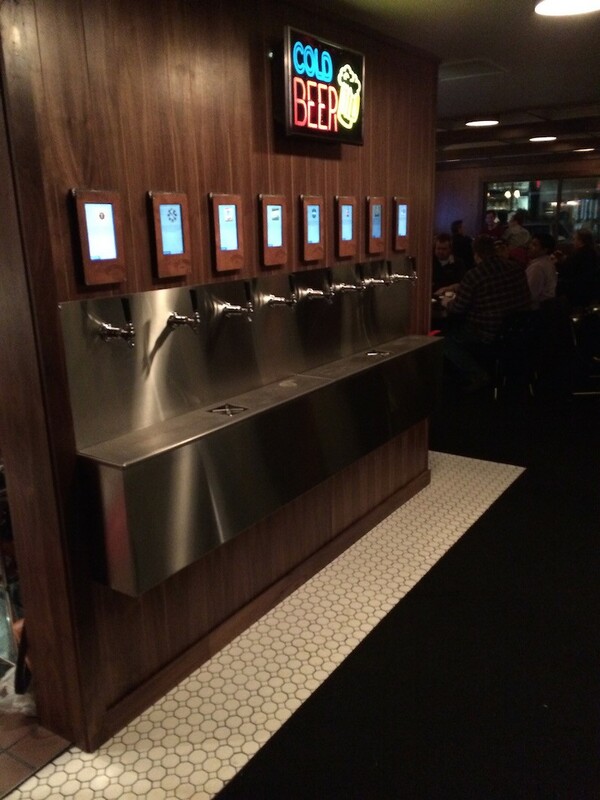 What the place did have that I haven’t seen before, is a self-pour beer station. If you want to use the self-pour station, they give you a gadget on a bracelet that interacts with screens at the station. To get the bracelet, you give the waiter your driver’s license, the two are synched somehow, then you get your ID back with the bracelet. 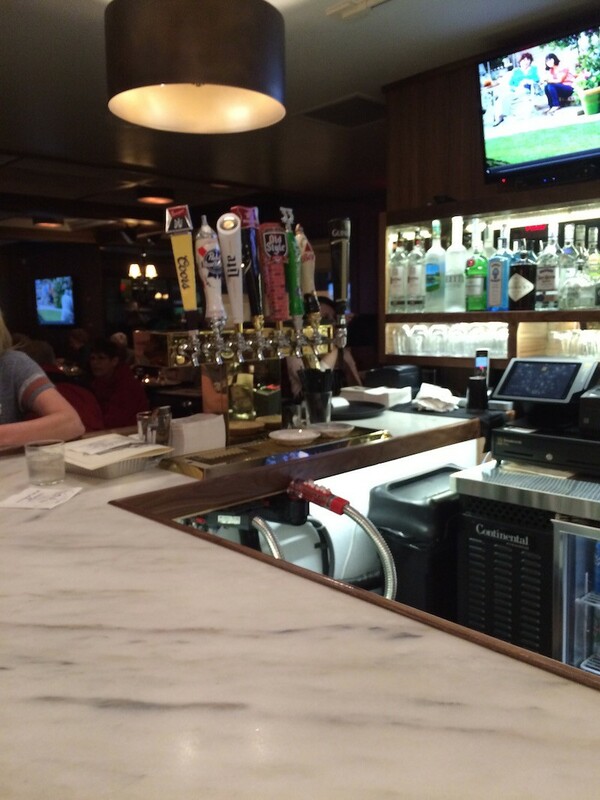 There are eight taps with electronic screens above. 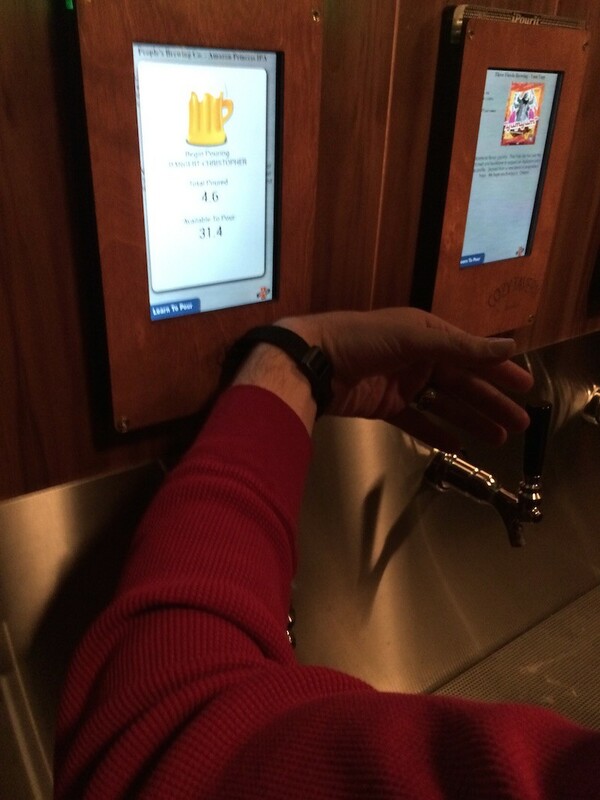 The screens tell you which beer is at that tap (when I went, they were mostly if not entirely Indiana craft brews) and provide information about the beer – alcohol content, IBUs, price per ounce, etc. You grab a large or small glass from the rack, then activate the tap by holding your bracelet up to the bottom right hand corner. The display tells you how many ounces you’ve poured and how many ounces total you have on your account. The bracelet is good for 36 ounces — I suspect you can reload or get a new one if you want. At the end, they ring you up for what you drank. Pro-tip: the beer station has a glass washer where you turn the glass upside down, push down, and it sprays your glass from underneath. So, it was really good beer and the delivery concept was interesting. What about the food? The reuben I had was outstanding. Good corned beef, good sauerkraut, good bread. Just delicious. 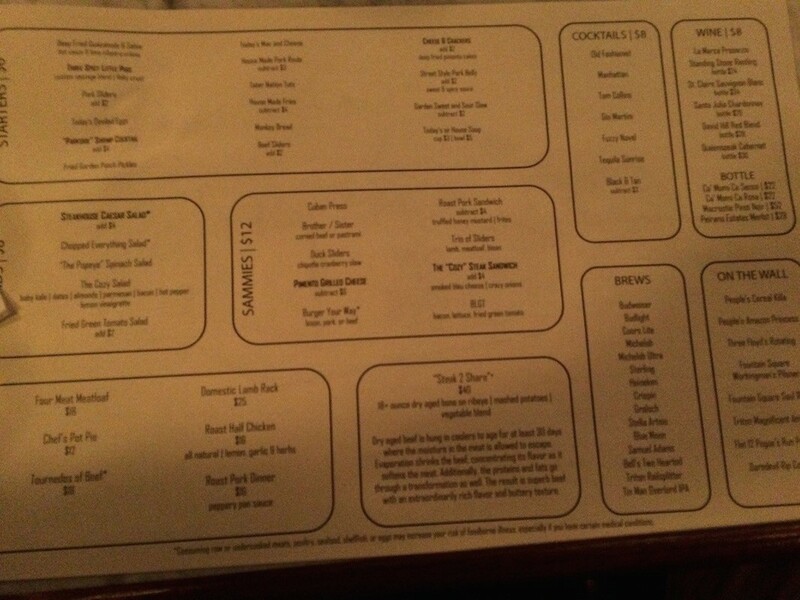 The other guys spoke highly of their food – a pork burger and a bison burger. We also had some fried guacamole that was o.k., but didn’t do much for me — possibly because I’m not a huge fan of guacamole in the first place. The house made pork rinds were a little surprising in that they were served in a paper sack, but the pork rinds themselves were terrific. Service was very friendly but took some time. We weren’t in any hurry so it wasn’t a problem. I suspect the people are still learning the systems — they have not yet had their grand opening. So, I wouldn’t take the slow service last night as representative, but if you’re in a rush, you might wait until you have a little time. 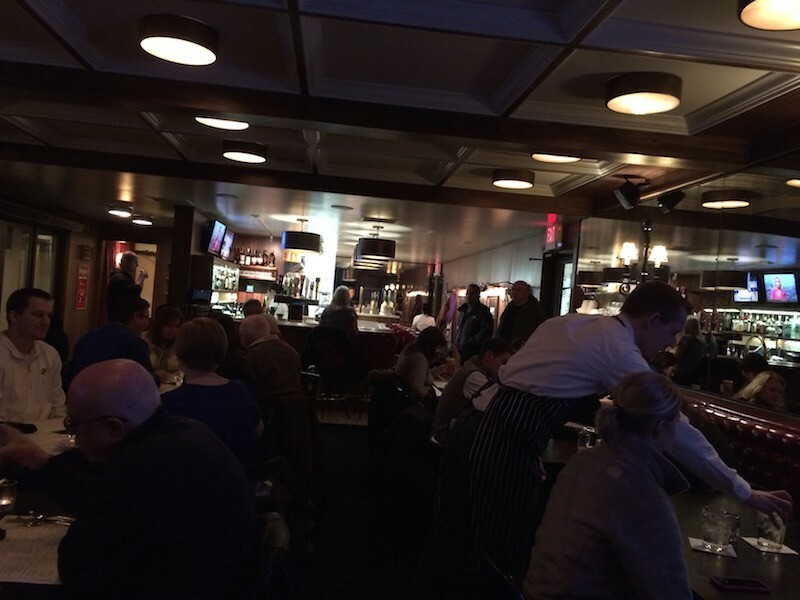 All in all, a good experience – great beer, terrific food. I’ll be back. 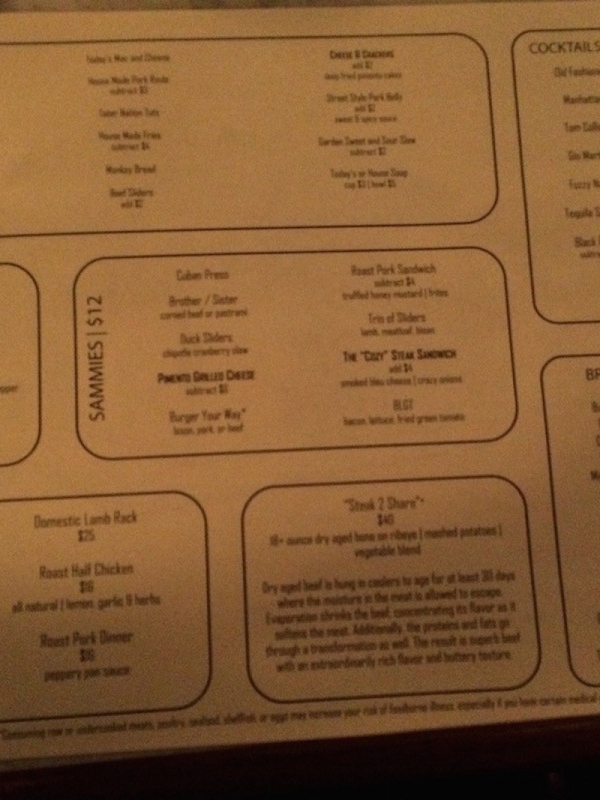 Price: Mid-range – $12 for a sandwich, dinners $15-20.